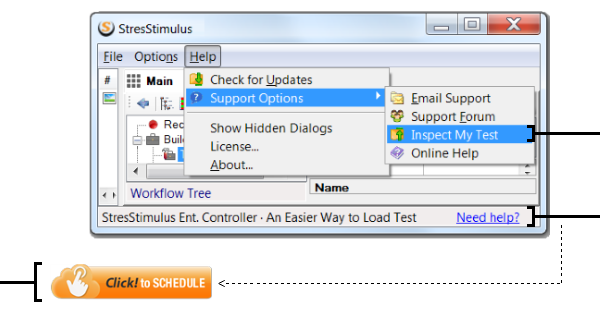 Whether you are a beginner or an expert in load testing, StresStimulus is designed to help you every step of the way to complete your test correctly and accurately. It is packed with gadgets for high productivity testing that automate the process and help to avoid mistakes. You will spend less time learning the tool and more time addressing web performance. 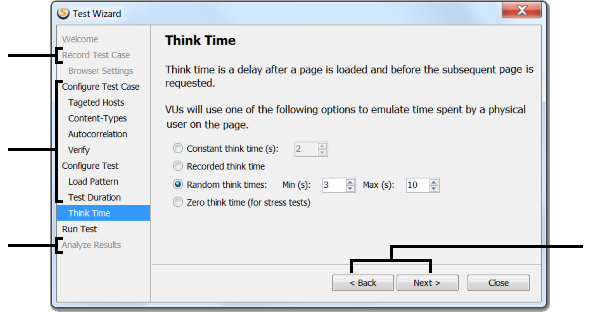 Test Wizard provides ultimate simplicity and streamlines StresStimulus adoption. Load test with ease - take one step at a time. 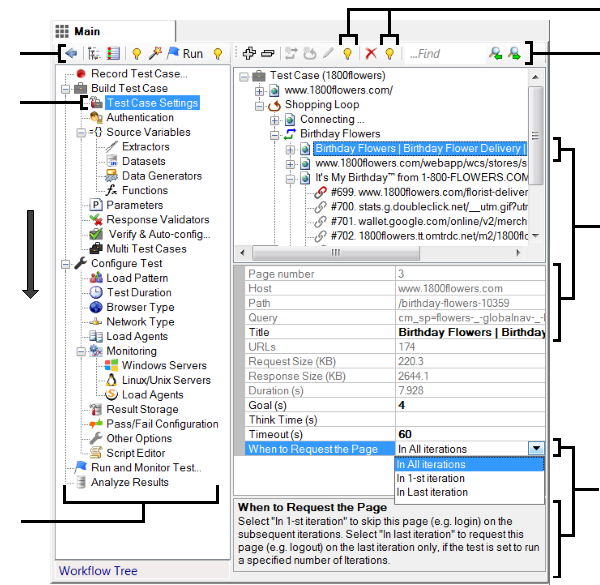 The workflow tree is the centerpiece of StresStimulus UI. Focus on one task at a time and never miss an important step. 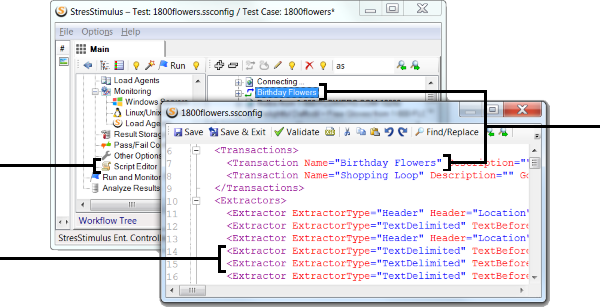 For ultimate flexibility with test modifications and version control, use the manual scripting. StresStimulus XML scripting is easy to learn because script attributes and values closely reflect UI configuration settings. New to load testing? Take a trial, then schedule a support session. We will help you set up your first test from installation to performance report within one hour. Already a customer and have a questions about your test? With the Inspect My Test™ feature, in just a few clicks you can upload your test with your questions to our secure repository and receive an answer or a script fix the same day.